That’s right, folks. We are jumping on that bandwagon like nobody’s business. That, and we also thought it’d be nice to give our scant but loyal readership a chance to take part in the publication. So, throughout the month of March, we will be hosting a championship bracket to determine the best film of 2014. 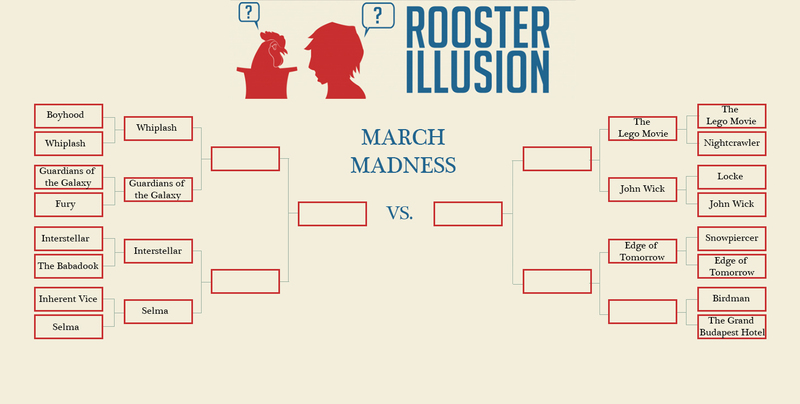 Through a long and arduous process, the writers and editors of Rooster Illusion selected the sixteen competitors, but you, dear reader, will have to select the winner. A new poll will be available every other day, so check back regularly. Also, keep in mind that if you need a refresher on any of these films, we’ve reviewed all of them. In an unsurprising and deserved turn of event, Selma beat out Inherent Vice and will soon have the singular privilege of facing Interstellar in the next round. Yay. But before we can get to that: Power Couple Number 2. This is a big one. The movie that won all of those Oscars vs. the movie that should have won all of those Oscars. 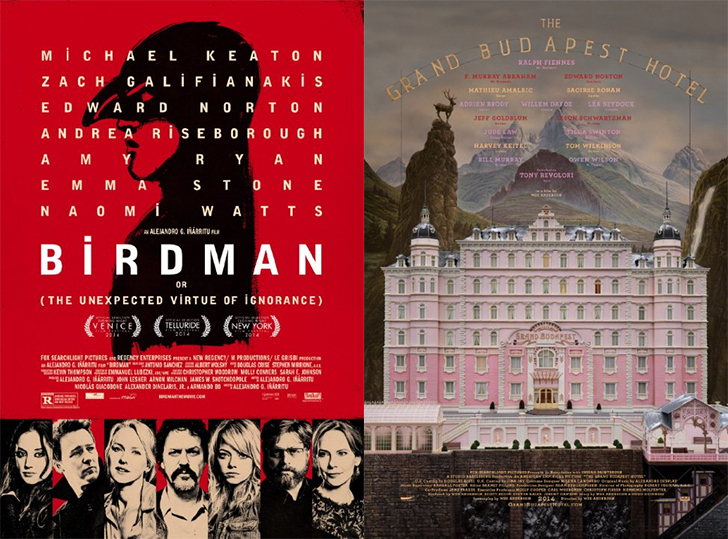 Need to refresh your memory on either Birdman or The Grand Budapest Hotel? Click on the links and read our reviews.